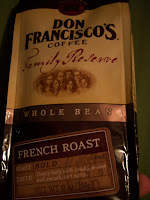 By and by, it seems that the hands that produce good coffee also can produce mediocre. I know that some people really prefer their coffee to be super bitter but how are we going to get away from this fad of over-roasted coffee if roasters of all types (I've seen it in most coffee roasters) continue to propitiate the habit? But all that aside, I still strove to evaluate this coffee objectively and so, I put it through the tests of french press, drip and siphon. The french press produced a coffee with dark chocolate, pepper and some subdued cherry. The darkness of the coffee really cloaked a lot of the flavors here. The drip delivered a more earthy cup with the subdued cherry still weighted beneath the dark, bitterness of the coffee. The siphon came out with similar dark characteristics, more cherry, some broth and pepper. With this one you could see the potential of the coffee squirming against the roast level. As you can deduce, the coffee gave what was predicted; a coffee with some possible potential buried beneath the bitter qualities of a dark roast. 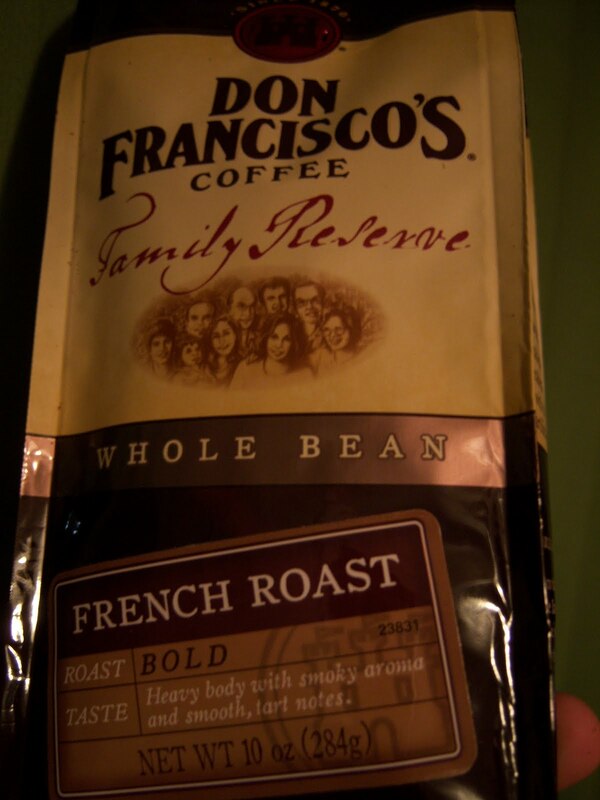 I will say that as far as dark roasts go, this one was by no means abhorrent as there were still other flavors present, so if you are looking for a darker coffee, try out Don Francisco's French Roast. What are you trying to say "...continue to propitiate the habit?" Did you mean propgate? I actually was going with "propitiate" in terms of "appease." Propagate would have also been a good word choice. Thanks for the tip!